The 13th Annual Iron Cactus Dallas Red River Rally is on Friday, October 7th, 6 PM – 10 PM. The annual event at Iron Cactus Dallas is for Texas Longhorns fans to support their team as they face their arch rival, Oklahoma Sooner, in what is known as the Red River Rivalry on Saturday. 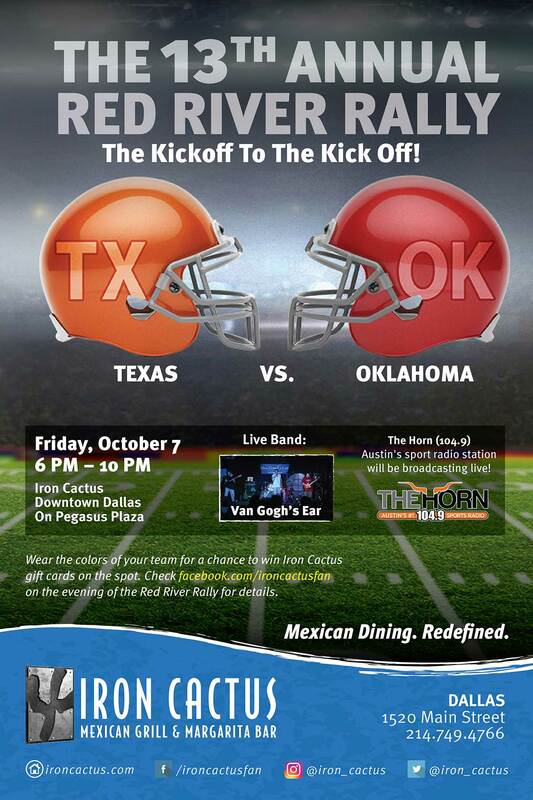 The Horn Radio, Austin’s sports radio station, is going to be broadcasting live from the Iron Cactus Dallas that day. Starting at 6 PM, Van Gogh’s Ear, performs live for fans. Furthermore, the Iron Cactus Dallas will be giving away Iron Cactus gift cards to lucky guests that night, but they will have to like Iron Cactus on Facebook and Instagram to find out how they can win. In 1996, the first Iron Cactus opened in 1996 in historic 6th St. in downtown Austin. Since then, Iron Cactus has grown to four locations. There is an Iron Cactus in North Austin, downtown Dallas and San Antonio River Walk. 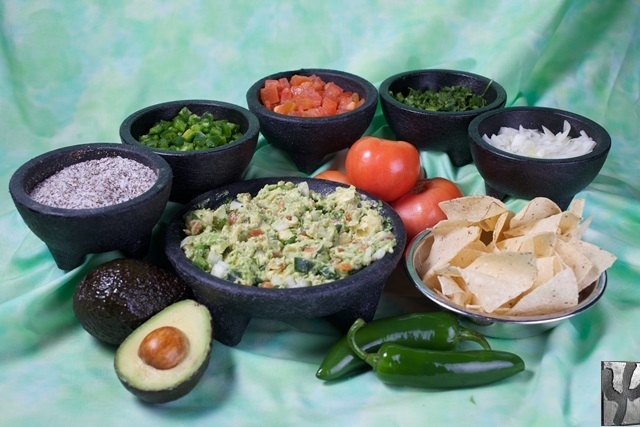 Iron Cactus serves Mexican dishes featuring bold flavors and fresh ingredients as well as award-winning margaritas. It is one of the Top Ten Tequila Bars in the United States. In Dallas Tagged promotion, Iron Cactus Dallas Bookmark the permalink.